Time Turning Reads: Yay, I Won An Award! Yay, I Won An Award! 1. Link and thank the blogger who nominated you (I actually think it's people's first nature to do this, but it's a rule anyways *shrug*). 2. Answer the 11 questions your nominator gives you. 3. Tag 11 other bloggers who have 200 or less followers. 4. Ask the 11 bloggers you nominated, 11 questions, and let them know you nominated them. Simple, right? Great! So let's get started! 1. If you could date one character from a book, who would it be and why? The age old question, but still as impossible to answer! I guess my answer would have to be Ren from 'Tiger's Curse'. For one, he's an Indian, and I'm an Indian, so c'mon, we're perfect for each other. And then there's the fact that he's a prince (yum! ), has the best of manners and morals, is hot (yum again! ), and overall is just the best book boyfriend out there. Soooo swoon-worthy. 2. You're stranded on a deserted island and are only given three books for entertainment. What are they? Another impossible question. Great. At this moment in time, the three books I'd want to have on a deserted island would be...umm...my Jane Ausen book (which has all 7 novels in one! !...that's not cheating)...uhh...that book that has all the Sherlock Holmes stories because, well, I don't want to get bored of reading the same story over and over again, and finally...'Divergent', because there is no way in heck I can survive on an island without Four. 3. What is your favorite movie adaptation of a book? Considering my mind is stilled filled with images of Four and Tris, I'm going to have to go with 'Divergent', though 'Emma' by Jane Austen is pretty close as well. But hey, I'm a modern girl who can't get enough of Theo James, so of course I loved seeing Four and Tris just a bit more than seeing Emma and Knightley (sorry Austen!). 4. What was your favorite children's book? I pretty much have no memory of what I read in elementary school besides a book of fairy tales, but by sixth grade I was completely obsessed with the Eragon series. It had romance and dragons - two of my favorite things - so even now I can understand my old addiction. 5. What is one genre that you don't usually read but have enjoyed in the past? Recently I've begun to notice a new affinity for coming-of-age novels. I used to run as far away from them as possible - for example, I didn't appreciate 'A Tree Grows in Brooklyn' - but after reading newer books like 'Six Feet Over It', 'Love Letters to the Dead', and '100 Sideways Miles', I'm up to a coming-of-age story any day! 6. What is your favorite classic book? Before reading 'A Picture of Dorian Gray', I would have said 'Persuasion' by Jane Austen, but now, I'm not so sure. The genres are so different that it's impossible to choose between them, so for now I guess they're at a tie. 7. If you could have one book that releases next year, early, which would it be? 8. What was one book series that left you disappointed? Believe it or not, I'm going to say Divergent. I loved the first book, and the second book a bit less, but the end of the third book...that's the part of the series that burned my heart and laughed while doing it. So yeah, to say I'm disappointed is a bit of an understatement. 9. What's your favorite lesser known author? I could repeat the names of several authors I already talked about, but I'll keep it original and go with Carey Corp, author of 'Doon', the first book in a series. I've loved that book since I first read it, and since I'm in a Scot mood after watching the latest episode of 'Outlander' yesterday, the author fits this question at this moment. 10. What's a book that you love, but no one else really knows about? I believe I already mentioned about three in the other questions, but I guess I could find another one. Hmm...I think it's 'Ruby Red' by Kerstin Gier. It's a trilogy, and unlike with most series, I loved every page of every book! I'm pretty sure the reason not many people have heard of it though is that it is originally written in German (or something like that). Done! I commented on The Book Cookies, A Perfection Called Books, and The Book Butterfly. 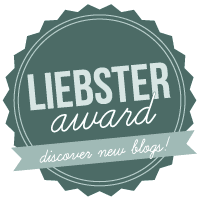 They're all amazing blogs, so don't hesitate to take a look! 1. What book would you recommend to a person who has no interest in reading? 2. Which book was the first book you ever read on your own (as far as you can remember anyways)? 3. If you could live the life of any one character, who would you choose? 4. What book or series do you really want someone to make into a movie or TV show? 5. What is the most boring book you have ever had to read for school? 6. Excluding non-fiction, what genre do you usually avoid? 7. Who is your most hated book villain of all time (I feel like I should insert an evil laugh here...)? 8. What is your most re-read book, and how many times have your read it? 9. If you could have any book-themed item, what would it be (you can make it up!)? 10. Have you ever watched a movie or TV show adaptation without reading the book? If so, which book was it? 11. Do you prefer ebooks or physical copies? Why?